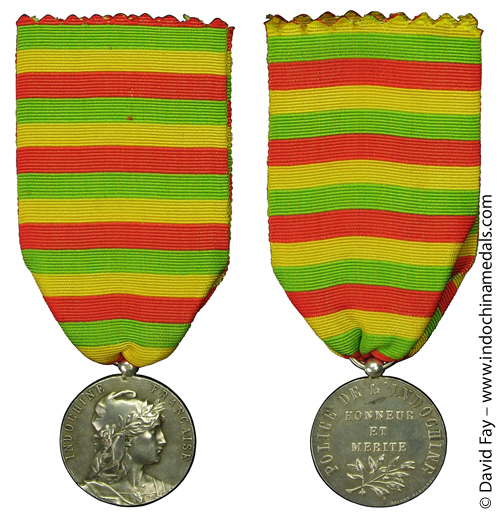 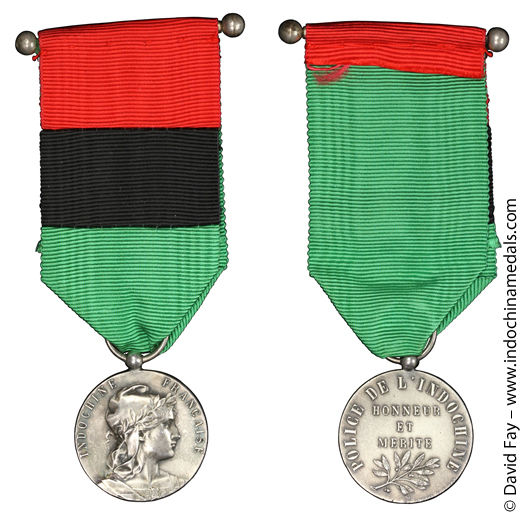 The first ribbon was reportedly changed because it resembled too closely the ribbon for the Indochina Customs Medal. 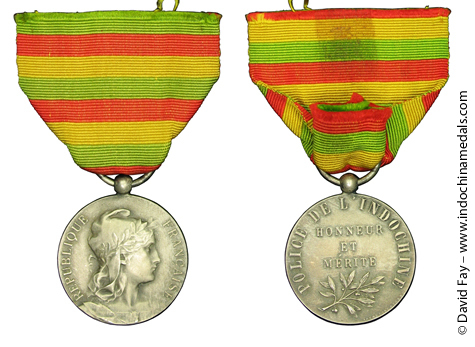 60 medals were to be given annually to Europeans and 40 to natives. 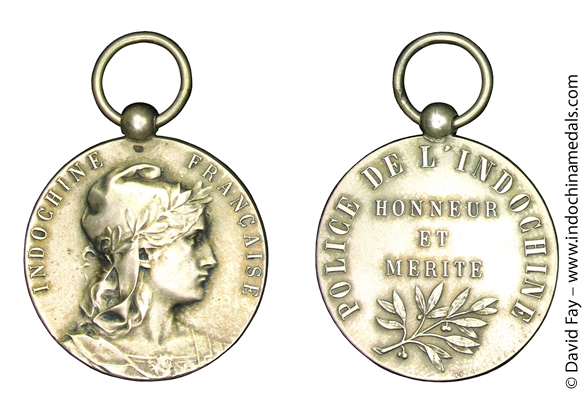 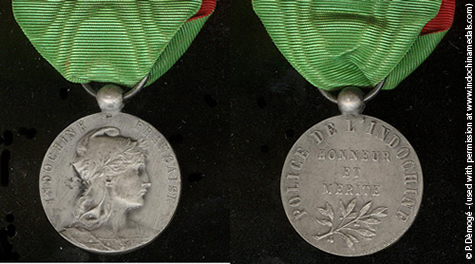 Design: Obverse: inscription around "INDOCHINE FRANÇAISE"
Design: Obverse: inscription around "REPUBLIQUE FRANÇAISE"